Click this HERE to apply online through the Study Abroad Office at NC State. The island of Cyprus, legendary birthplace of the goddess Aphrodite, lies at the eastern end of the Mediterranean Sea. The Republic of Cyprus is a member of the European Union and is a popular tourist destination that offers dramatic landscapes, pristine beaches, a vibrant cultural scene, and world-famous archaeological sites. Archaeologists working on the island have uncovered abundant evidence for a rich and complex past that stretches back into deep prehistory. Students in the program will take part in archaeological excavations at the prehistoric (Late Chalcolithic and Early–Middle Bronze Age) site of Makounta-Voules-Mersinoudia, located in western Cyprus in the foothills of the Troodos mountains near the coastal town of Polis. Students will also embark on weekly trips to visit archaeological sites across the island, including the sprawling Classical city of Kourion, the sanctuary of Aphrodite at Palaepaphos, and the UNESCO World Heritage Sites of Khirokitia, Paphos, and the painted churches of the Troodos. Students will receive daily, hands-on instruction in archaeological field methods and will explore the archaeology of Cyprus – as well as archaeological method and theory more broadly – through field trips, reading/writing assignments, and a series of evening lectures. Students are encouraged to enroll in both ANT 389 (3 credit hours) and HI 395 (3 credit hours), but they may choose to enroll in one or the other of these courses. Both courses include prerequisites, but these may be waived with the permission of the instructor. 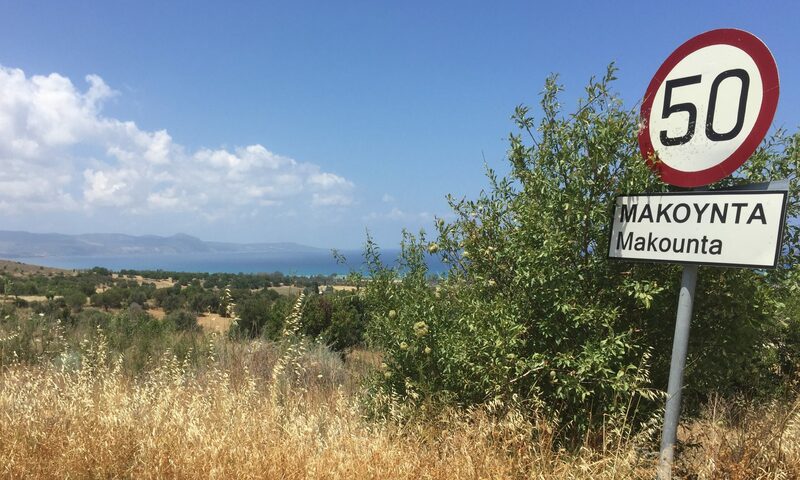 We will be living in the town of Polis (Paphos District, Cyprus), a short drive from the site of Makounta-Voules-Mersinoudia.